Does spiritual maturity reduce spiritual distress? I’ve posted another blog over at the BTS faculty blog site musing whether spiritual maturity leads to less or more spiritual distress. See if you agree. Post here. 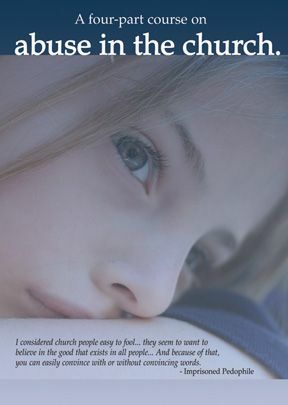 I want to point out and recommend a new collection of meditations designed for counselors and written by Dr. Diane Langberg. 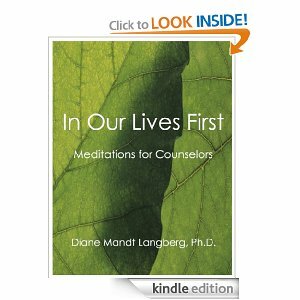 This ebook In Our Lives First: Meditations for Counselors (Kindle version first, Nook version to follow) consists of 40 meditations, each with quotes from some of Dr. Langberg’s favorite authors and with questions for you to ponder. Dr. Diane Langberg (pictured above in the banner of this blog) is a practicing as a psychologist for the past 4 decades. Regular readers of this blog will know her as one of the leading experts in all things related to PTSD, trauma recovery, and christian counseling. For years she has been writing books and articles as well as speaking around the world on matters near and dear to her heart. For those of you familiar with Dr. Langberg, you may recognize some of the stories and ideas in the meditations. Many of these have appeared in some form in her Christian Counseling Today column or in her lectures. If you are a people helper (professional or lay; clinical or ministerial) and have ever felt burned out by the work you do, I highly recommend these meditations. As Dr. Langberg tells us, the work must be in us first. Bias alert: I helped edit this volume. I do not gain any monetary benefit from sales. Dealing with controversies amongst believers? Does Acts 15 give us any help? Find 3 Christians and you will likely hear 4 passionate opinions! And give it time, and they’ll probably start 5 different denominations. Joking aside, since the beginning of the Church, Christians struggle to know how to handle differences in theology and the key questions of each era. The World Reformed Fellowship has posted a blog I wrote on the question of how we are to handle significant differences in doctrines. Ever wonder how the arguments might have sounded when the Council of Jerusalem took up the issue of circumcision and whether those uncircumcised (namely Gentiles) could be part of the new church? While such debates are not surprising, I find the council’s response to be quite so. Check out the res of the post here.